It is not difficult to eat food that is healthy both for people and the environment. Fortunately most of the food that is wholesome, is also eco-friendly. You don't have to give up some favorites to lessen your impact; instead, choose your recipes with care to boost and extend environment protection through responsible food consumption. Small changes to your daily meals will add up. 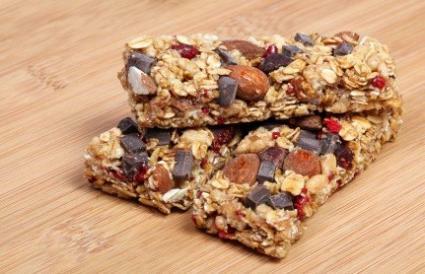 A chocolate chip granola bar is organic and packed with healthy oats, nut and dry fruits and raw honey. It serves not just as breakfast, but also as a snack for adults and children. The recipe that uses boiling instead of baking cuts down the number of steps by half. Since a large amount is prepared in a batch and stored, this saves energy used for multiple meals. A straightforward way to eco-friendly food is to buy organic. The benefits to one's health and the environment make them nearly unbeatable. Any recipe can be made organic by using organic products purchased when they are in season or offered on discount. 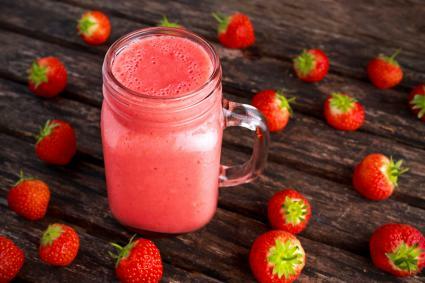 Strawberry smoothies are a no-cook breakfast that has five simple ingredients prepared in three steps. Instead of the usual vanilla flavored yogurt, tofu and soymilk are used to make this vegan meal for hurried mornings. The noteworthy ingredients are the frozen fruits that extend the shelf life of abundant produce (creating less food waste, making it very eco-friendly) without impacting taste or nutritional value. Frozen fruits are also often cheaper to purchase. 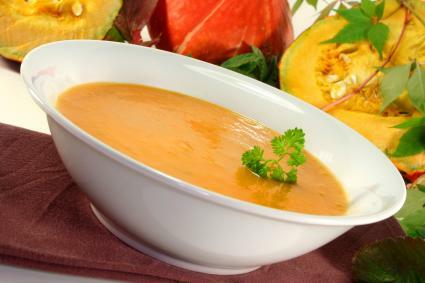 Pumpkin soup is vegetarian and the main element is a seasonal vegetable which can be purchased in farmers markets. Since local produce is picked at the right time, it is more nutritious, one is sure to get it fresh, and there are less risks of it getting contaminated during transport or storage. Conventional food transportation produces 5-17 times more carbon dioxide than food sourced locally in a radius of 100-400 miles, according to the Earth Institute of Columbia University. Choosing recipes with this in mind is an environmentally sound decision. 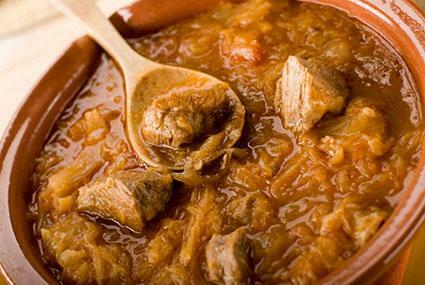 It is a great warm dinner for the family during autumn and winter. This vegan Mediterranean salad is made of fresh tomatoes, bell peppers, and beans, with a no fuss recipe. The vegetables are all thrown together, and mixed with a basic dressing of olive oil, lemon, and salt. 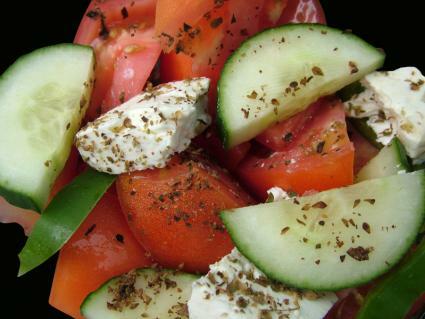 It makes an excellent light lunch with bread, and also goes well with grills. The ingredient list is short so chances of getting them organic or from the farmers' market increase, and vegan food has the smallest carbon footprint when compared to several other popular diets. 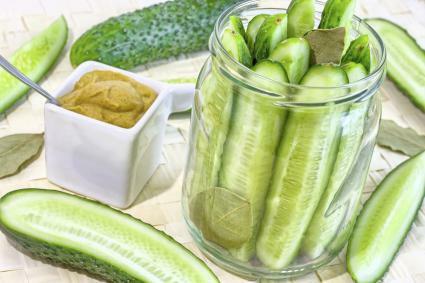 Cucumbers can be pickled without the complicated water bath step, and with spices and herbs found in all kitchens. Even though the recipe is simple, it should be followed meticulously to avoid any form of contamination. The pickled cucumbers are great for dinner. Pickling is a traditional method of storing vegetables from the garden, without resorting to freezing. And growing one's own vegetables and fruits, in gardens or pots on balconies, saves both the environment and money since transportation isn't needed to get to the food source. Penne pasta with tomatoes also has pinto beans, corn, chickpeas, olives, and scallions. 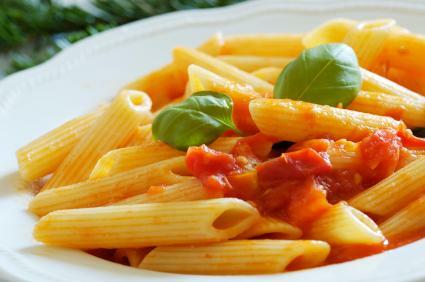 A standard pasta sauce is made healthy with the addition of pulses, which are an important source of proteins for vegetarians who abstain from meat. The recipe is simple enough for kids to prepare and enjoy. Vegetables and beans are some of the items that have the least carbon footprint according to Environment Working Group (EWG), so they can be enjoyed guilt-free. 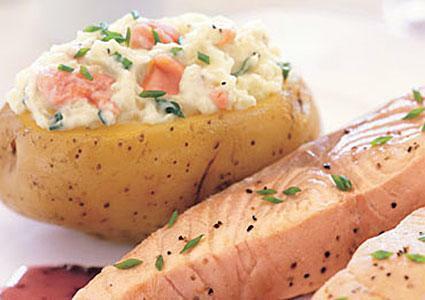 A smoked salmon baked potato topping adds protein and flavor through the use of four common ingredients: cream cheese, salmon, capers, and onion greens. It is unique enough to be served at a party or to break the monotony at lunch; it is quick and easy to make, and is served at room temperature. Low fat varieties of cheese, like cream cheese, or soft cheese are less polluting among cheese, according a brochure released by EWG. Therefore, if you're going to eat cheese, pick a recipe that uses a soft version. 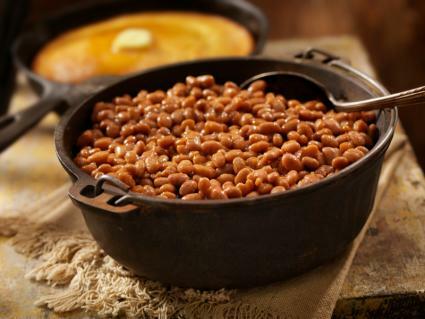 Baked beans can be vegetarian and is then a more environmentally sound breakfast than the usual variant made with pork. Along with tomatoes, garlic, molasses, there are extras like Worcestershire sauce and mustard, compared to other baked beans recipes. The baking time for this recipe is shorter than for others. Pork is the fourth most polluting food item according to EWG. It is not meat per se but the frequency with which it is eaten that is a problem. There are anyway ample proteins in this bean recipe to give the day a healthy start without needing the additional amounts from pork, making this a much more earth-friendly option. 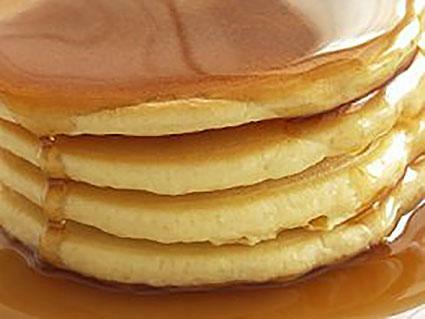 A breakfast similar to pancakes, these griddle cakes are made with eggs, flour, milk, sugar, cornmeal. Water used to prepare the batter makes it light. The cakes are sweet enough to be served plain or with some syrup and kids are sure to like them. Not everyone is ready to give up meat, so a balance with some non-vegetarian meals is the best way out for most people. While the recipe uses eggs, they have the smallest carbon footprint among animal proteins according to the EWG brochure, they can be used more. Eggs are also easily available as an organic produce or from a local free-range farm. 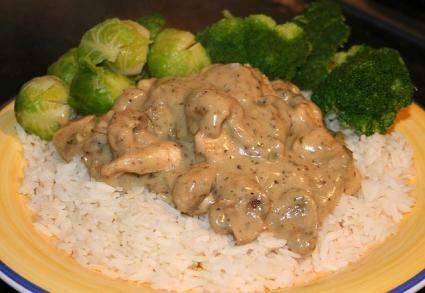 Creamy baked chicken with mushroom gravy uses a whole fowl cut it into small pieces. It is best used without skin and from an organic source to ensure it is healthy. The rest of the ingredients are common and inexpensive like butter, onion, mushrooms, evaporated milk and cream of mushroom soup. An hour is needed to bake this hearty dinner, and is best served with rice and vegetables. Chicken has one-fourth the carbon footprint of beef, according to EWG. So if you're craving meat, look for one that will reduce your carbon footprint compared to others. 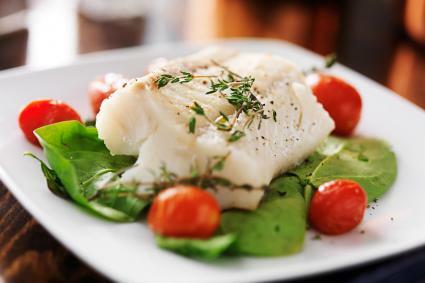 Broiled halibut is quick and simple to prepare for lunch or dinner. Filets of halibut are the main ingredients and carry the dish practically single-handed helped only by some butter and shallots. Tarragon, salt and pepper are the only seasoning. It takes about 15 minutes to cook the fish and is served with wedges of lime and a side-dish of choice. Fish is a healthy alternative to red meat, especially as the main dish. Fish can be farmed/caught sustainably and then certified. Lessen your environmental impact by purchasing a halibut labeled by the Marine Stewardship Council as sustainable. 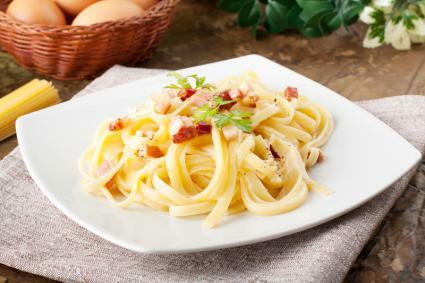 Pasta carbonara has noodles eaten with a cream sauce made with eggs, and small quantities of bacon for flavor. Shallot, garlic, cream and Parmesan cheese along with seasoning are the other equally easy to find elements of this dish. It takes around 30 minutes to prepare and cook this lunch. In small portions and as a side dish red meat is a welcome addition without making the meal unhealthy or harming the environment as it would be when used as a main dish. Cold beef leftover from a roast can be used the next day as the basis for a lunch as delicious as the previous day's roast, but in a different avatar. 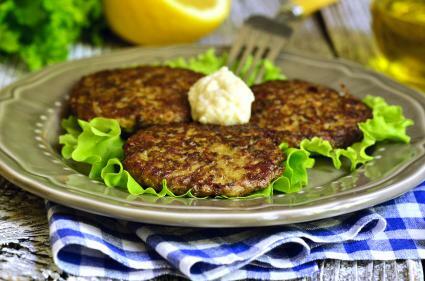 Beef fritters uses only beef, eggs and flour with some seasoning. The batter is effortless to make, and the frying takes less than 10 minutes. It is a good idea to use beef completely, and not waste it. Beef produces two times as much emissions as pork, according to the EWG brochure, and more than 13 times of vegetable proteins, so by using leftovers in a second meal, your second meal is much more eco-friendly than throwing out the food waste and starting with additional meat. Moreover, using leftovers saves time and energy needed for making multiple meals from scratch. This traditional ware has its origin as a makeover of Sunday leftovers- meat, potatoes and other vegetables. Any ingredient not present as leftover needed for making Scottish stovies is used fresh and adds pep to a delectable lunch. Rescue food waste at home using recipes like this one; don't be someone who contributes to the nearly 20% of the total meat produced that turns to waste. Rice and other leftovers are combined with a few ingredients to provide a quick warm dinner. Rice is fried with onions, celery and eggs in oil. Soya-sauce, salt and pepper are the uncomplicated seasoning. 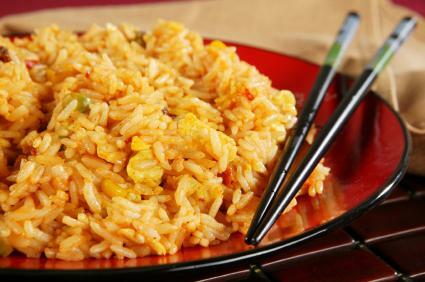 The basic recipe for fried rice is versatile, and variations can be introduced with meat, seafood, or vegetables. A significant portion of waste could be reduced by consuming all food purchased and save precious resources. Tossing the foods into this kind of recipe helps reduce your environmental impact and keeps you from contributing to the large percentage of waste made by consumers. On an average, overall (not just meat) food waste by consumers amounts to 10-22% according to Shrink That Footprint. This waste includes inedible portions like skin of fruits and vegetables, or bones, products that go out of date, cooking waste, and plate waste. Find the impact of your food choice by using The Food Carbon Emissions Calculator, designed by Clean Metrics. 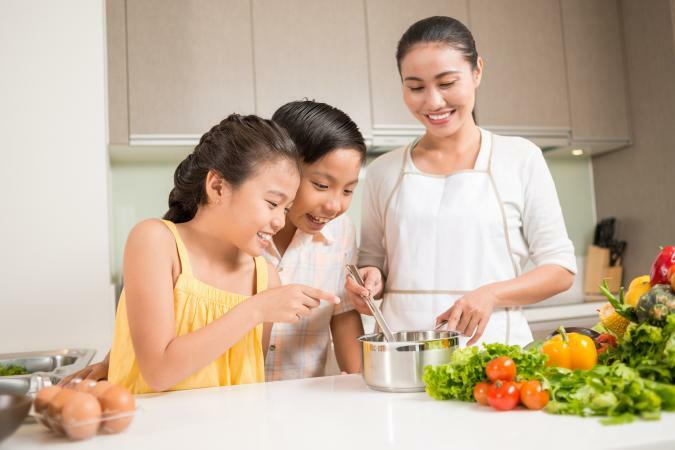 Learn how you can contribute to protecting the environment, which is a process that requires thought and planning, through your recipe and food choices.